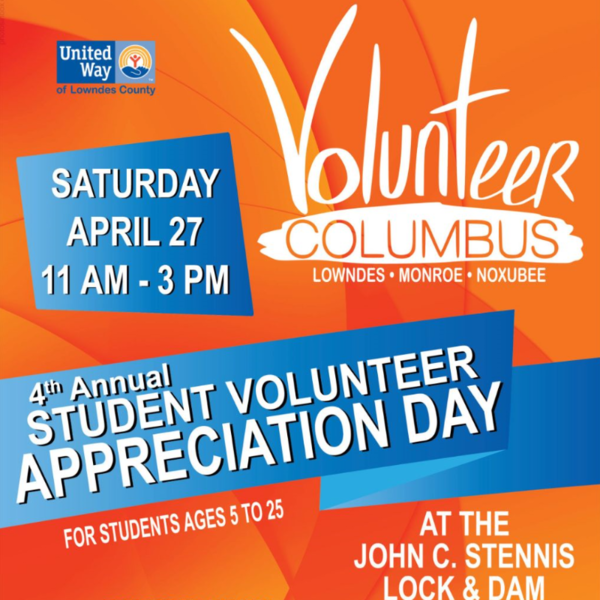 Volunteer Columbus and United Way of Lowndes County wants to say Thank-You to the students (ages 5 to 25) who have volunteered in their communities (Lowndes & Noxubee) during the 2018-2019 year. There will be free food, music, animated characters, inflatables, and volunteer opportunities for groups and organizations! Volunteers to help work the different activites! We will have different stations set up, such as face painting, bubble station, jumpers, nail polish station, sports, balloon station, etc. Log in to see who is volunteering for Student Volunteer Appreciation Day!